Adidas will be releasing during the month of November the new Adidas F50 Adizero Hunt Boot that glows in the dark. 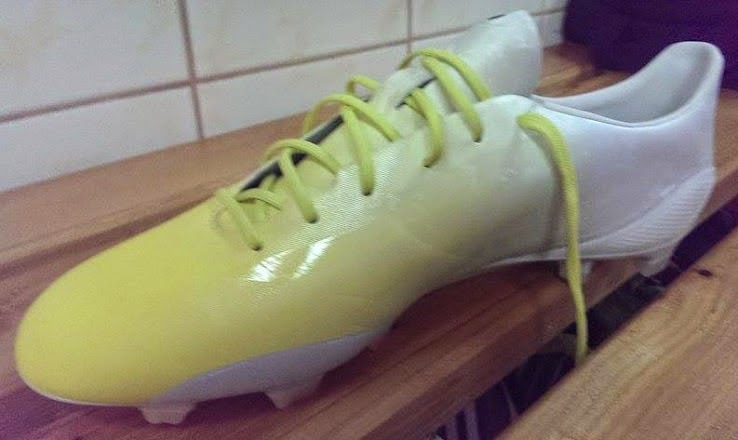 The new boot features a light green and white color upper part and a white outsole. The laces are also light green with some parts of it glowing in the dark as well. This is a very innovative product as far as the colorway and the ability to some parts of the boot to glow in the dark. The expectation is that F50 Adizero players like James Rodriguez, Diego Costa and Gareth Bale will switch to this new Adizero Hunt boot during the Champions League group stage. This will be a limited edition but most retailers will have some to offer their customers.